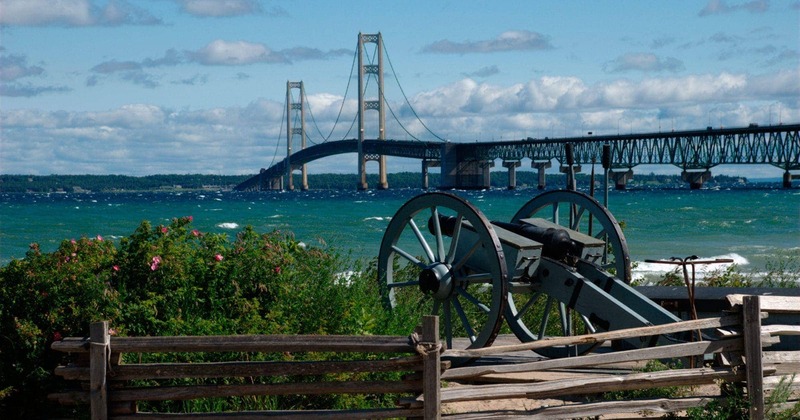 The Mackinac Bridge, which connects St. Ignace in Michigan’s Upper Peninsula to Mackinaw City in the Lower Peninsula and overlooks Mackinac Island, is an essential part of planning your perfect Northern Michigan vacation. As the world’s fifth longest suspension bridge and the longest suspension bridge in the Western Hemisphere, this marvel of engineering is a must-see. Read on for key facts you need to know before making your travel plans. Passenger vehicles cost $2 per axle or $4 per car. This includes passenger cars, vans, motorcycles, station wagons, SUVs, pick-up trucks, and school buses. All other vehicles, including tractor trailers, buses, motor homes and step or cube vans cost $5 per axle. 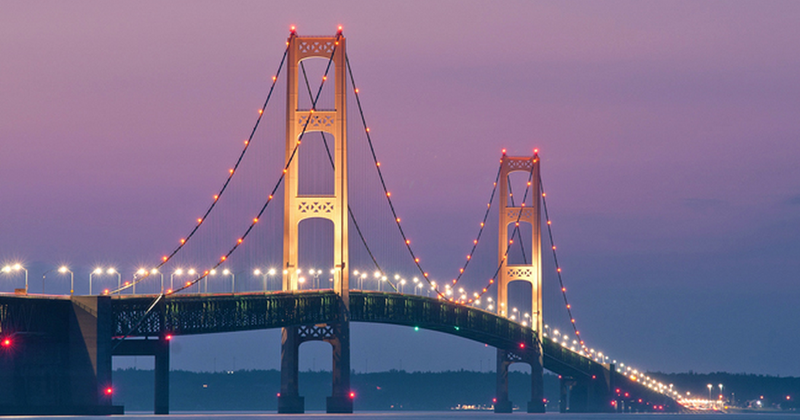 You can also purchase a Mac Pass, a pre-paid toll account, from the Mackinac Bridge Authority. Mac Passes can be used in any lane and don’t have an expiration date. You can purchase a discounted toll card for a minimum of $90, which includes a one-time $10 card purchase fee and $80 in crossing credits. You can also sign up for a Mac Pass debit account program. For a printable application from the Mackinac Bridge Authority, click here. Want a live view of traffic on the bridge from the comfort of your own home? Check out the Mackinac Bridge Cam at MackinacBridge.org, which features three different cameras capturing the Might Mac and Straits of Mackinac. The Mackinac Bridge Walk is an annual event held every Labor Day since 1958. The walk is usually led by the governor of Michigan. The walk begins at 7 a.m., and no one will be permitted to start after 11 a.m. For more information on this year’s walk, visit MackinacBridge.org. Designed by the engineer David B. Steinman, and opened on November 1, 1957, the Mighty Mac required some 3,500 workers, $99,800,000, and 48 months to complete. The bridge spans just under 5 miles, and its two towers rise to a height of 551 feet above sea level.